Hardcover, 9.5 x 12.5 in. / 224 pgs / 234 color. Viewing architecture and urban development from the perspective of building contractors is a much-neglected topic to date in architectural and art history. 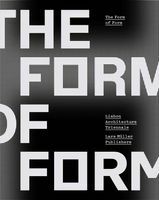 If mentioned at all, contractors are often seen as potential adversaries of architects, their actions allegedly determined solely by the maximization of returns; artistic or social aspects of buildings supposedly have no noteworthy importance for them. However, it is the determined entrepreneurial and often very creative spirit of contractors that allows architectural ideas for buildings to be realized in construction. 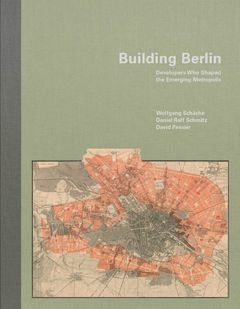 Building Berlin is dedicated to the multifaceted activities of six selected building contractors who were active when Berlin flourished to become a world city. The compact articles about their life and work also seek to illuminate their far-reaching but largely unknown influence on the development of Berlin’s cityscape and architecture. FORMAT: Hbk, 9.5 x 12.5 in. / 224 pgs / 234 color.